Killer truck wrap. 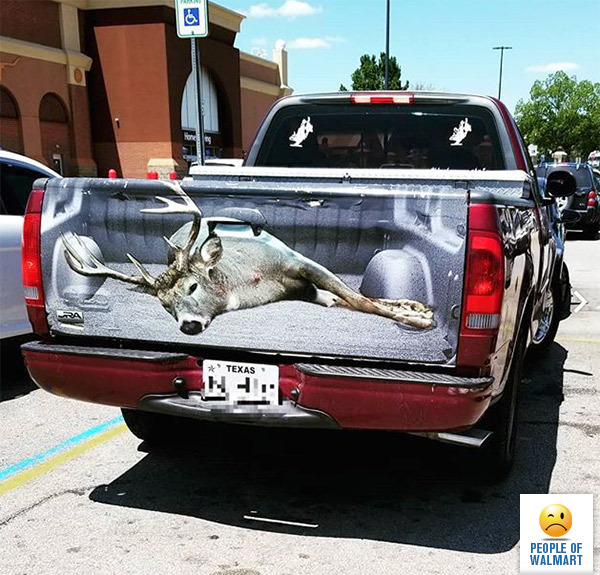 I’d say it comes in handy when you want to piss off PETA supporters even when it’s not hunting season, but you’ve got a Texas plate and I’m pretty sure it’s always hunting season and you’ve kicked all two of the PETA supporters out of the state already. The wrap would be killer if the person who took the original pic did it straight on and not at an angle. As it stands now, it looks more like a bad Photoshop job. It’s just making Texas people look stupid.